It's trekking day again! 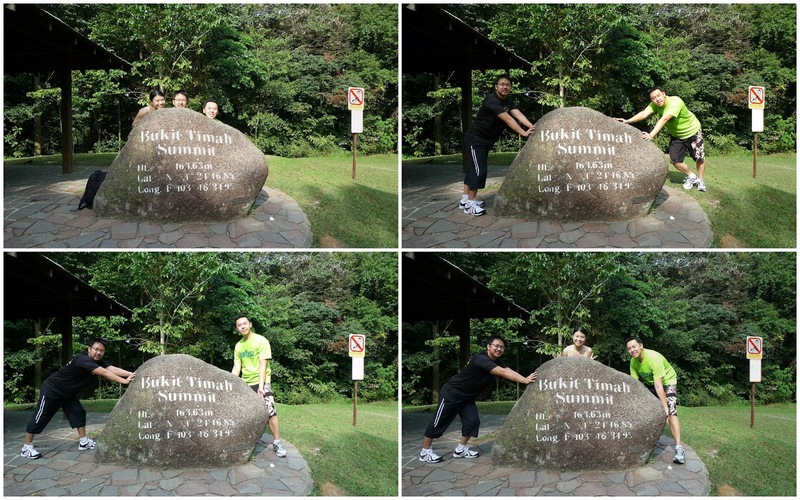 Our destination this time round is Bukit Timah Nature Reserve. I never been here before, not even during primary school excursion. =_=" When we reached the carpark, it's full and luckily we didnt waited long for a lot. There are 4 main trails which are denotes by 4 different colours. We choose Yellow which is the most difficult trail. The view from the top of Hindhede quarry is quite disappointing as the trees covered most of the view. We saw a signage to the summit and we climb up the stairs. Actually if we continue the normal path, we can also reach the summit. We took that path on the way down. Yellow trail is recommended for those who wanted to practice for their hiking as there is a long flight of stairs here. I saw people using their trekking poles here as some of the steps are quite high. Not sure if the water is safe for drinking? We return to the visitor centre after an hour of trekking. There is washroom and water cooler at the visitor centre. 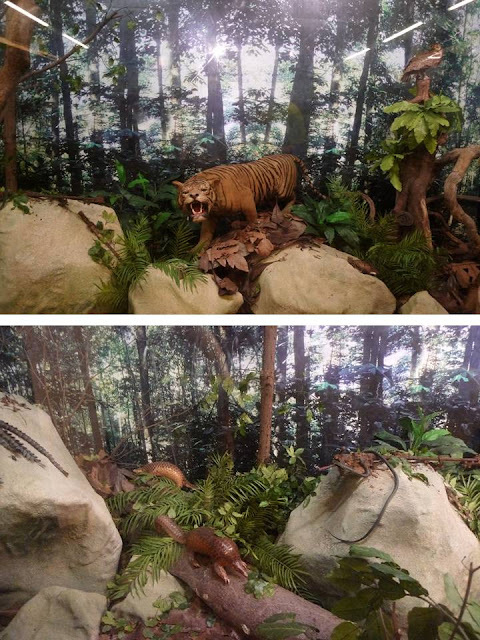 There is also an exhibition hall which displays the habitat and animals found at Bukit Timah Nature Reserve. Does these animals look alive? We continued the trail at Hindhede trail as this is the trail that leads to Hindhede quarry. Can you spot the tortoise and catfish? As it's only 11.30am, hubby & Samuel suggested continuing at MacRitchie Reservoir. +_+" That's how I ended up here. 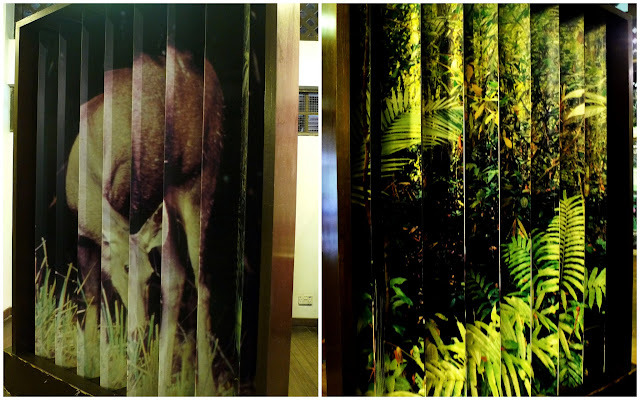 Samuel has never been to the HSBC treetop walk before but I told him that the whole route takes about 4hrs as hubby and I went there 3 years ago. 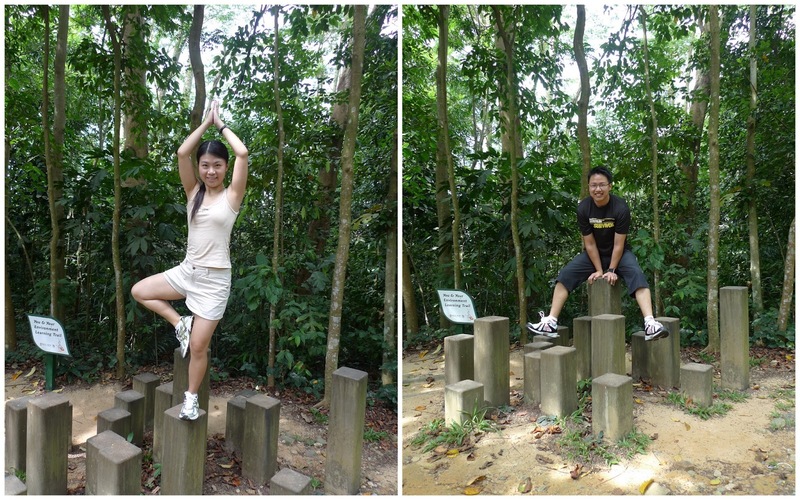 So we decided to return next week for the HSBC treetop walk. We just walked around the entrance and visited Lim Bo Seng's tomb. 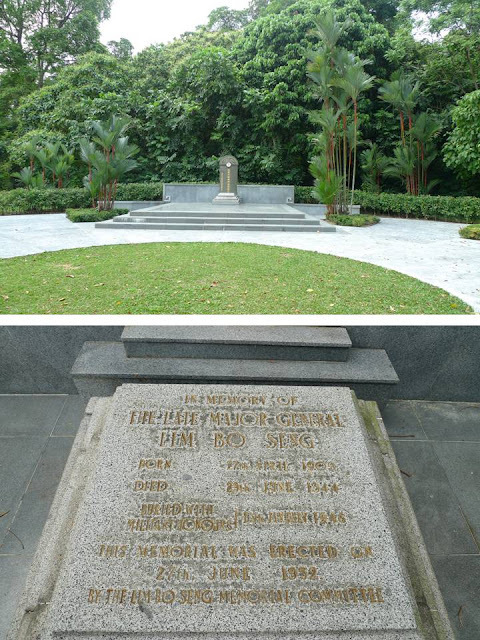 I knew that Lim Bo Seng's tomb is at MacRitchie Reservoir but we didnt went to the tomb the last time round. It's such a pity that he passed away at the age of 39. His tomb is about 10min walk from the entrance. Surprisingly, we saw people training their parrots here. We are lucky to see many parrots today. Hubby ask the parrot's owner if we can take a photo with the parrot. The owner replied that we can even hold the parrot. I was quite scared of the parrot as I'm worried that it will bite me, hehe. think i went to the bukti timah hill b4, cuz the stairs looks familiar lol! !